October 22, 2018 — ALBUQUERQUE, NM – Today, Rep. Michelle Lujan Grisham (NM-01) announced that the Office of the Inspector General (OIG) at the U.S. Postal Service (USPS) will open an independent investigation into claims of fraud, mismanagement, and dilapidated USPS facilities in Albuquerque. The Congresswoman was informed about the investigation in a letter from USPS following a recent meeting between the USPS Post Master, local USPS managers, Rep. Lujan Grisham, and American Postal Workers Union (APWU) representatives. The investigation is the result of a letter that Rep. Lujan Grisham sent in September to USPS Acting Inspector General calling for an inquiry regarding allegations of USPS mismanagement and poor working conditions at facilities. Whistleblowers alleged that USPS management pressured employees at Albuquerque USPS facilities to falsify data in mail processing efficiency reports and of unacceptable working conditions. “I’m extremely pleased that after continued advocacy on behalf of Albuquerque’s USPS customers and calls from APWU members, the USPS Inspector General has called for an investigation to look into fraud and neglected facilities. USPS district managers and the Inspector General must conduct a thorough investigation and work to remedy these issues immediately. 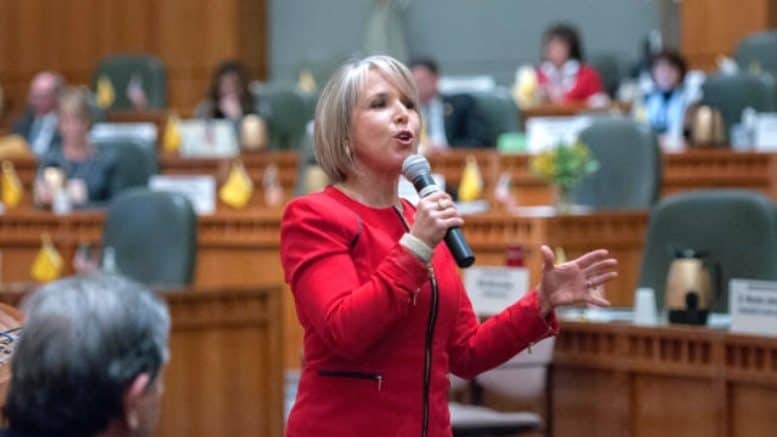 This was a hard-earned and critical step to ensuring the safety and productivity of employees, and quality mail service for Albuquerque residents,” said Rep. Lujan Grisham. Please find USPS Inspector General’s letter here.